The research programme will be delivered through four interconnecting themes. Each team will focus on one theme. Themes 1 – 3 will concentrate on developing novel robot technologies while theme 4 will provide rigorous performance evaluation methodologies. Lead for Research Theme 1 and principal investigator of the RNE research programme. Barry Lennox is a Professor of Applied Control and Research Director of the £20 million Dalton Cumbrian Facility (DCF). Between 2012 and 2015 he was the EPSRC Chair in Nuclear Decommissioning. Professor Lennox has considerable experience of nuclear decommissioning and of developing control systems and sensing technologies for industrial processes and robotics. He has published more than 150 articles on these subjects and leads a nuclear robotics group made up of six academics, nine PDRAs and fifteen PhDs. His understanding of technology transfer led him to co-found Perspective Engineering Limited, a control solutions provider employing twenty five technologists and rated as outstanding in an impact study. He has received numerous accolades including the Energy Innovator Awards 2016 for his Acoustek system, now used routinely in the oil and gas industry for detecting blockages in pipelines. Dr Watson is a lecturer in robotics with eight years of experience of developing robotic devices for use in nuclear facilities. Currently he is involved in two Knowledge Partnership Transfers (developing a robotic spider and an underwater ROV, both for nuclear applications). He is also working on an EPSRC project (designing ROVs to perform nuclear characterisation at Fukushima) and on several Sellafield projects including the development of robotic systems for the characterisation of dry and wet storage facilities. Dr Keir Groves is a Research Associate in the Department of Electrical and Electronic Engineering at The University of Manchester. He holds a PhD in mechanical engineering and has specialisation in vibration and acoustics. More specifically he has published several papers on aero-engine dynamics and has been heavily involved in research and development related to acoustic pipe inspection. In his current role he has led the design and build of the MALLARD platform, an autonomous water surface inspection/monitoring vehicle. His current research focus is on acoustic underwater positioning systems and robot odometry in water. 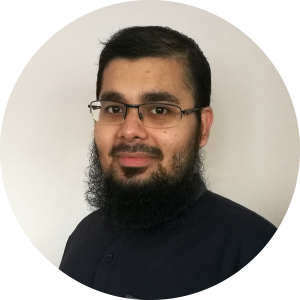 Dr Farshad Arvin is a Postdoctoral Research Associate at School of Electrical and Electronic Engineering at The University of Manchester, UK (since July 2015). He received his BSc degree in Computer Engineering in 2004, MSc degree in Computer Systems Engineering in 2010, and PhD in Computer Science in 2015. He was a Research Assistant at the Computational Intelligence Laboratory (CIL) at the University of Lincoln, UK. He was awarded a Marie Curie Fellowship to be involved in the FP7-EYE2E and LIVCODE EU projects during his PhD study in Lincoln. Farshad has been a visiting researcher at several leading institutes including the Institute of Microelectronics at Tsinghua University in Beijing, and recently the Advanced Robotic Lab at the Italian Institute of Technology (IIT) in Genoa. His research interests include swarm robotics, autonomous systems, and collective robotics. Farshad is a MIET member of the IET, member of IEEE, and Chartered Engineer (CEng) registered with the Engineering Council. Wei Cheah is a Research Associate with the Department of Electrical and Electronic Engineering at The University of Manchester. He received his MEng in Mechatronics Engineering in 2015 and is currently in the final year of his PhD. 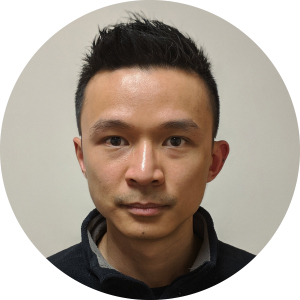 He has been involved in Knowledge Partnership Transfer projects and his PhD research has led to a work development package within the RAIN project. His research background is in design and motion planning for legged robots, and is now focusing on wireless power transfer. Tony Pipe is Professor of Robotics and Autonomous Systems. His expertise is in safe, close-proximity Human-Robot interaction, provable safe and convergent constrained machine learning, adaptive behaviour applied to intelligent and distributed control/monitoring systems and self-repairing, re-programmable digital VSLI for safety-critical systems. Since 2005 Professor Pipe has been the author of over 180 publications and has led grant projects worth more than £2.5 million. He is the University of the West of England Principal Investigator on the EPSRC Trustworthy Robotic Assistants project. He is also Principal Investigator on two Innovate UK autonomous road vehicle projects. In addition, Professor Pipe and others at BRL were active members of the working groups that led to the creation of ISO 13482d:2014 (safety requirements for personal care robots). This standard has great relevance to the RNE research programme, which focuses on robotics for another safety-critical domain. A Professor of Electronic Engineering and Director of the University of the West of England Science Communication Unit, Alan Winfield’s expertise ranges from swarm intelligence to the impact of robotics on society. He has published over 200 works and has been awarded grants totalling £5.1 million since 1992. Manuel Giuliani is Professor in Embedded Cognitive AI for Robotics at the Bristol Robotics Laboratory, University of the West of England, Bristol. Before coming to Bristol, he led the Human-Robot Interaction group at the Center for Human-Computer Interaction, Department of Computer Sciences, University of Salzburg. He received a Master of Arts in computational linguistics from Ludwig-Maximilian-University Munich, a Master of Science in computer science from Technische Universität München, and a PhD in computer science from Technische Universität München. 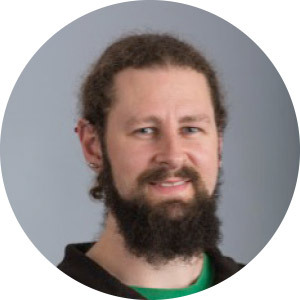 He worked on the European projects JAST (Joint Action Science and Technology), JAMES (Joint Action for Multimodal Embodied Social Systems), ReMeDi (Remote Medical Diagnostician) and the Austrian Christian-Doppler-Laboratory “Contextual Interfaces”. Professor Manuel Giuliani’s research interests include human-robot interaction, social robotics, natural language processing, multimodal fusion, multimodal output generation, and robot architectures. Craig is a research associate working for Bristol Robotics Lab, but based in Cumbria. He completed an MEng in Mechatronic Engineering at Lancaster University, then worked in industry for a year before beginning a PhD in Nuclear Robotics in October 2014, back at Lancaster University. His PhD project was based on the development of a robotic research platform consisting of two hydraulic manipulators on a mobile base. Paul Bremner received a BSc in Robotic and Electronic Systems Engineering from the University of Salford in 2003. He received an MSc in Advanced Technologies in Electronics and a PhD in Human-Robot interaction from the University of the West of England in 2005 and 2010 respectively. Since 2010 he has worked at the University of the West of England on a number of projects, first as a research associate then as a research fellow. His research interests include human-robot interaction, multi-modal communication, tele-presence, artificial intelligence and robot ethics. Professor Stolkin is an international leader in the development of robots for nuclear applications. He currently heads two nuclear robotic projects – the 6.4 million (Euros)H2020 EU consortium R0MaNS and a joint UK-Korea research programme into unmanned systems that can handle and retrieve contaminated materials. Both of these will run in parallel with the first one and a half years of the RNE programme. Professor Stolkin also leads a £250k, three-year project with KUKA-UK, the preferred supplier of robots to the UK nuclear industry. A generalist who has published over 80 papers and holds two patents spanning both the mechanical and computational aspects of robotics, Professor Stolkin’s activities span computer vision, robotic manipulation, robot vehicles, human-robot interfaces and human factors. He is an active member of the IEEE Technical Committee on Robotics and Automation in Nuclear Facilities. Professor Stolkin is also the Principal Investigator at the National Centre for Nuclear Robotics. The NCNR has received £11.3 million of ISCF funding to develop advanced robotics and AI technologies for nuclear applications. Professor Leonardis is an internationally leading expert on robotic vision and sensing. He has received to date more than £7 million in funding, has published 260 papers and has an h-index of 40. His landmark writings include publications on the 3D modelling of objects and scenes, object category recognition and the tracking of moving objects. Professor Leonardis is Principal Investigator on the UK-USA MURI project and Co-Principal Investigator on the H2020 RoMaNS EPSRC UK-Korea nuclear project. Over the past fifteen years he has served as Principal Investigator on various EU and other international projects. In addition, he is Professor of Computer and Information science at the University of Ljubljana and an Adjunct Professor at the Faculty of Computer Science, Graz University of Technology. He was a visiting researcher at the GRASP Laboratory at the University of Pennsylvania, post-doctoral fellow at PRIP Laboratory, Virginia University of Technology and visiting Professor at ETH Zurich and the University of Erlangen. 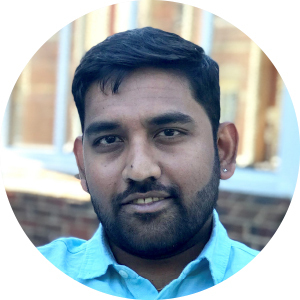 Dr Vijaykumar Rajasekaran is a Postdoctoral Research Fellow in the Extreme Robotics Lab, School of Metallurgy and Materials, University of Birmingham, UK. He received his Doctorate in Biomedical Engineering with specialisation in assistive exoskeletons from Universitat Politecnica de Catalunya, Barcelona-Tech, Spain (2015). He is a recipient of Erasmus Mundus scholarship for pursuing Masters in Advanced Robotics in Ecole Centrale de Nantes, France (2009) and Warsaw University of Technology, Poland (2010). His research interests are in the fields of Kinematic manipulation, Human-Robot interaction, Human motor control, Dynamic control and Rehabilitation Robotics. He joined the University of Birmingham as a Postdoctoral Research fellow in 2016 and has been working on two European projects related to Human haptic perception and Robotic manipulation. In this project, his research work is on tele-manipulation control and human-robot collaboration for nuclear decommissioning tasks. Mohammed Talha is a research associate in the Extreme Robotics Lab at the University of Birmingham. He received the B.Sc. degree in Computer Science with Artificial Intelligence, from the University of Birmingham, Birmingham, U.K., in 2011. He recently submitted his thesis on “Human Factors Issues in Telerobotic Decommissioning of Nuclear Facilities” as part of his Eng.D at the University of Birmingham supported by the Nuclear Decommissioning Authority. Prior to his doctoral studies, he worked as a research assistant in the Intelligent Robotics Laboratory with the University of Birmingham. His research interests include human factors, human-robot interfaces, human-robot interaction and virtual reality. Dr Steve Shackleford has extensive experience of in-service inspection and repair, lifetime assessments and remote decommissioning. He is involved with Sellafield’s highly active inspection programme, the BEP robotics programme, the EU RoMaNS project and the Innovate UK laser snake project.